Hi there U Create readers! 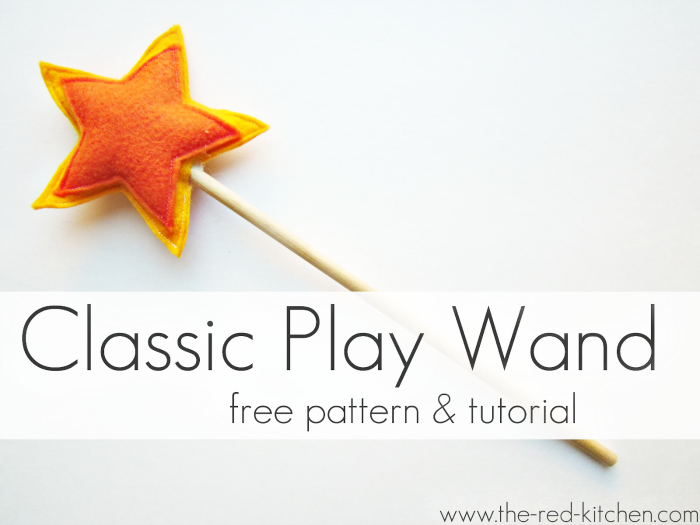 My name is Katie Lewis and I’m happy to be here sharing a fun and simple tutorial for Classic Play Wands today! I write regularly on my blog, The Red Kitchen, where you’ll find a mix of craft and sewing tutorials, thoughts on life, and the occasional recipe. I have a 2 1/2 year-old daughter (who has already confiscated the wand in these pictures) and a wonderful husband. Okay, on with the fun!